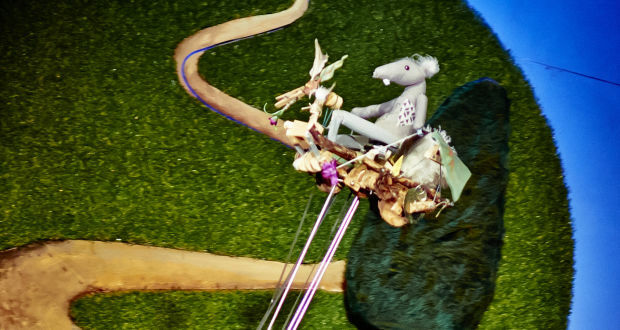 Pros: Good puppetry and an inventive use of props to assist the story. Cons: A wider range of puppets would have added some much needed variation. An enchanting children’s story with likeable characters that easily win the audience’s affection. The Ovalhouse is a neat community theatre that’s tailor made for a family show like Tony & Mike or The Country Owl and the City Squirrel. Reassuringly, visitors were greeted by a cafeteria full of children happily playing and making animal masks. The story itself is inspired by the Tale of the Town Mouse and the Country Mouse and is aimed at 3-7 year olds. Children can be the most discerning of critics and I wondered how they would react to a new reading of an old tale. Our story begins with Joe, played by Tom Frankland, who has just moved to the countryside and excitedly awaits the arrival of Charlotte, played by Laura Mugridge. Meanwhile, Tony the Owl has seen his peace and quiet ruined by their migration from the city. Not only that, Mike, a loud and cheeky party-loving squirrel, has also landed in Tony’s tranquil garden. Joe is determined to make the most of country life and tends to the garden intent on growing all the vegetables they need. Charlotte is unconvinced by the countryside and still commutes to her job in town. Despite Joe’s efforts, nothing seems to grow in their country garden. Thoroughly disenchanted with Joe’s failure, Charlotte returns to live in the city. Unbeknown to Charlotte, a sunflower begins to grow; Joe is desperate to tell Charlotte the good news; but it now seems he won’t catch her before her train leaves! Will Tony and Mike join forces to carry the good news to Charlotte and stop her from leaving? There’s no doubting the charm and simplicity of the story; the puppets are basic but highly effective. Tony is a stern but kindly Owl and Mike is a frantically hyperactive squirrel with a scouse accent. The writers shrewdly avoided the classic panto scenario of oh yes you did, oh no you didn’t, and the pair became sparring partners rather than adversaries. The reaction of the children was, on the whole positive but occasionally mixed. At one point, Joe struggled to deal with a heckler who couldn’t have been more than five years old; and it shows how difficult it can be to entertain some children. Although they were driving the story, Joe and Charlotte slipped more into the periphery as the story wore on. The kids only really woke up when the puppets were centre stage. 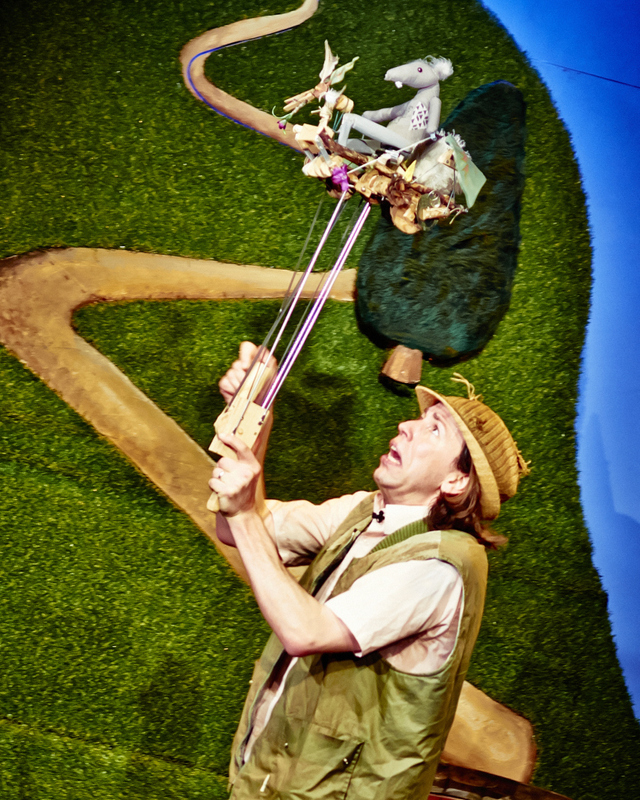 Whilst Tom Frankland and Laura Mugridge are capable entertainers, their most telling contribution was as puppeteers to Tony and Mike. Aside from a country and town mouse (a nod to the original story), there were no other animals featured. I couldn’t help feeling that a scheming fox or an interfering duck would have enlivened proceedings no end; even if this curtailed Joe and Charlotte’s dialogue. Having said that, the show was great fun and sensibly ran for only 45 minutes; therefore didn’t test the children’s attention span too deeply. I was pleased to see parents and grandparents attending with their children and grandchildren; this type of show lives and breathes for the family and it was encouraging to witness such a well-attended event.